Prepare the pancake batter according to package directions and pour small dabs of batter onto a hot, lightly greased griddle for 1 -1/2 inch diameter pancakes (about 3/4 tablespoon of batter per mini pancake). 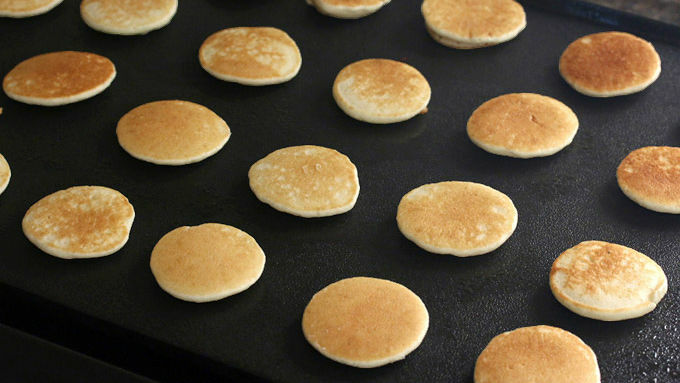 Cook the mini pancakes for about a minute on each side or until lightly browned. 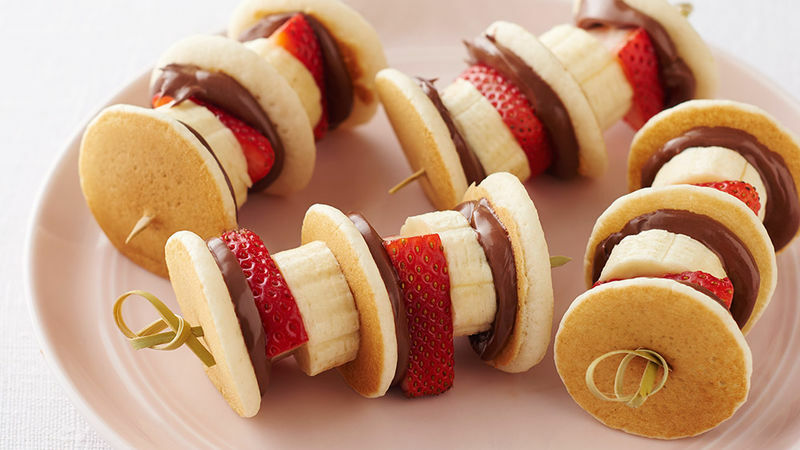 Spread some Nutella® on each of the pancake bites and layer the ingredients onto the kabob sticks. Serve immediately and enjoy! Nutella® makes everything better. Whoever came up with the idea of eating food on a stick started a good thing. I mean, just by being on a stick practically anything becomes more fun to eat. Or maybe the original inventor simply had toddlers and realized the trick to getting picky eaters to eat was to impale the food on a stick. And what a genius idea that was! Here's a kabob that layers mini pancakes and fruit that can be enjoyed for breakfast or any time of day. Best of all, those soft and pillowy pancake bites are smeared with Nutella. Yes, the entire universe is in love with Nutella and has been for decades. There's just no denying it: Nutella® is the food of the gods. And we're using it today to transform a delicious fruit and pancake kabob into something truly divine. 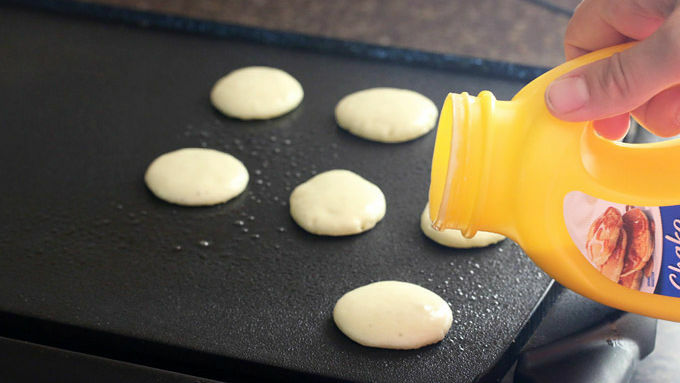 To make this super easy, use Bisquick Shake ‘n Pour Buttermilk pancake mix and prepare the batter according to package directions. It doesn't get any easier than this. 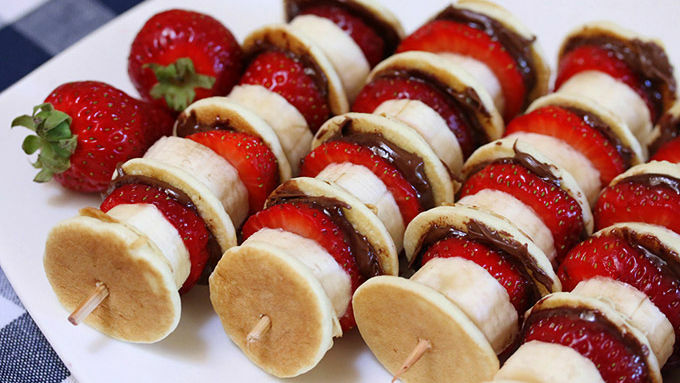 Slice the fruits, smear some Nutella® on each of the pancake bites, and layer the ingredients onto the kabob sticks. Serve and enjoy!